Finally my 1st (water cooled) turbo build - Page 6 - Miata Turbo Forum - Boost cars, acquire cats. This requires all the extra parts too. He already has all the parts to put on a 4W head. And its not like if he buys a used head it goes down in value. So throw a 4W on and the if you really need to switch to 6D sometime in the future. Yeah, I've NEVER understood TC's pricing structure. I pretty much stopped looking at them after they tried to charge me $1,200 for a MSM 6 speed that turned out to be a 6 from a 00SE (based on vin tag pic they sent me.) When I called them out on it they shrugged and told me there was no difference. Thanks guys, I really appreciate the input. I think that's were I am at as far as the motivation. It's been apart all winter, now it's spring, the autocross season started without me and I still need a small wad of cash to get back on the road. I has the moneys, I just feel like I NEED to drive this thing. Just to remind myself how much fun it is. The 99-00 head sounds most appealing to me. I had never planned on vvt, and it just sounds like another good size project within my current one. As Vlad said, I already have a ton going on here. A lot more than a weekends worth for sure. After months without driving and what seems like a jet turbine powered money shredder, it can be overwhelming sometimes. Used heads are $$$. Keep your eyes open they do turn up for sale occasionally at a fair price. For reference I sold a 39K mile pristine/like new/cleanest 03 head I've ever seen for 500 plus shipping a few months ago. It included bolts, valve cover, VVT solenoid, etc. Perfect condition. A 99' head should be no more than this head unless it was new or even lower mileage. Look online at used engines too, I've bought 2 or 3 now, it's not a bad way to go! Also the "jet powered money shredder" comment!!! That's pretty funny and accurate. I feel your pain! My miata didn't run for 18 months.... Project creep. I got it running a few weeks ago, it's apart right now for more upgrades, but should be "finished"* in a couple weeks. May 1st is my goal to have it back on the road. *Runs/drives, without the warning system and a few other details that can be done later. Scouring the internet for a head on My free time, i forgot to order my damper.now 949 is sold out of the damper again. If it's an option for you, I run the ATI damper that's always in stock and it works fantastic! On the same engine I noticed a major drop in vibration when in decel, and top end the motor doesn't vibrate nearly as much as before. Maybe my old damper was bad (03, 39K miles), but wow it's a big difference. I might do that.the massive price difference is kind of a turn off though. A. Stop bitching and just buy stuff at whatever cost. B. Wait it out and just plan on driving next year. I think the ATI is a better damper, look into the design of it. It's a dual mass damper and can be rebuilt too. On a more sparkley side, I received my block and will be assembling the bottom end this weekend. 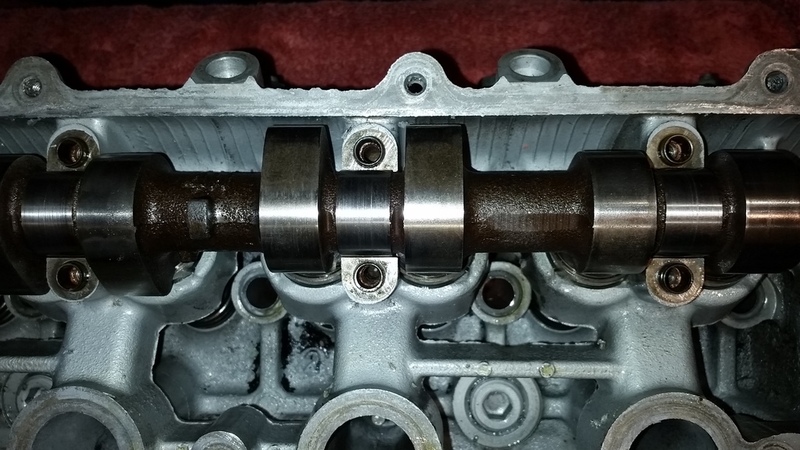 Stock crank was out of balance by 6 grams. Suprertechs were within 1, ebay rods varied up and down by 6. Finding another planet fit for human life, might be easier than installing supertech circlips. I have installed 100 pistons over the years. These are just ridiculous. Last edited by ryansmoneypit; 04-18-2015 at 09:55 PM. Well I found a '99 head here on MT turbo, reported as just having been serviced, so I paid the premium price. wanting a drop in solution this seemed OK. fast forward a couple days to when I have time to take it apart for inspection. this is what I find. what do you guys think? would you run this? my machine shop gave it a 50/50. My stomach hurts. On a brighter side, other things are moving along. Last edited by ryansmoneypit; 04-29-2015 at 10:24 AM. Well as the downward spiral that I call this build continues, I now have $ 300.00 worth of inconel and still can't hang a turBo from my manifold. I got this ARTECH manifold and inconel bolts. Face palm because you can't fit bolts to a 2560. No room and besides, the manifold is threaded, not the turbo. Now go buy the TSE kit. Facepalm again, manifold was threaded with something that looks like 3/8 fine thread. What now ? The manifold is ceramic coated, so welding the holes shut to re tap is aboit pointless. I think i could just buy another manifold for that price. This is getting really lame. Last edited by ryansmoneypit; 05-27-2015 at 08:17 PM. 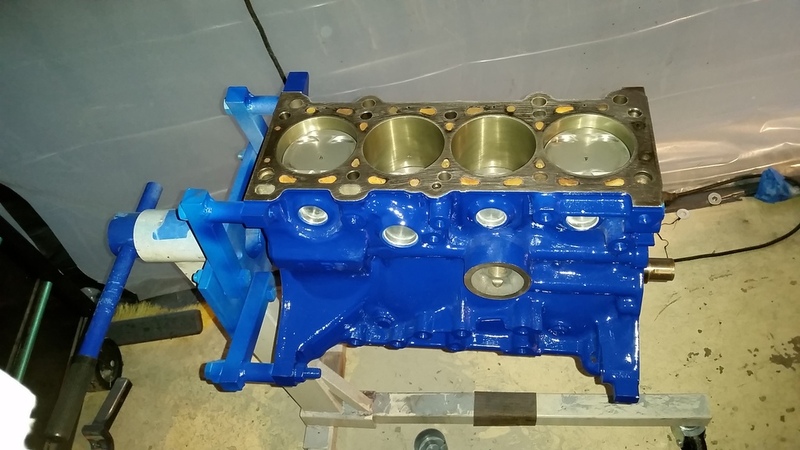 Can I thread the turbo for the TSE studs and drill out the manifold? Usually the stud is in the manifold, not the turbo. Is it the heat? Is it just because? I don't see anything wrong with the head. What's wrong? Regarding the manifold, sorry this is going to sound obvious, but you need to buy a few different bolts and figure out exactly what the thread pitch is on the manifold. It may have a coating or rust or something in the threads messing with you. Or maybe it's 10mm metric, which is close to 3/8", but the Metric is a touch bigger than 3/8 IIRC. People buy inconel because it's a very expensive material that works. Using a bolt or nut and torquing them lightly, and wiring them together, also works. Old news on the head. I have a vvt one now. The manifold is 3/8-16, which some say can be tapped with a 10 mm x 1.5. What do you guys say to this? I would drill those threads out and install high-temp M10x1.50 helicoils. bbundy has had good luck with them. Tap drill for M10 is 8.5mm or .335 inches. If it's already drilled/tapped for 3/8-16, the major diameter of the threads is .375, which is wayy more than the tap drill size. So no, I would not do that. I would just buy the right thread pitch bolts or studs/nuts and do that. Wire them together and torque to about 15 ft*lbs. If you really want to change the thread pitch, you could drill/tap to a considerably larger hole, say 1/2-13, then loc-tite a 1/2" bolt in the hole, cut it flat, surface it, and then redrill/tap to whatever you want. I did this on a manifold a long time ago that had stripped threads that were damaged too much to retap as it was. Worked fine. What was wrong with the head though? Curious I guess, I see nothing wrong. As sav said helicoil would also work if you're rather do that. Personally I'd just use 3/8 bolts or studs/nuts before changing the threads in the manifold. Assuming the 3/8-16 threads are good.